It’s been a busy week for North Coast Congressman Jared Huffman, who joined Democrat colleagues this week in introducing two major pieces of environmental legislation. On Tuesday, Huffman, a member of the House Select Committee on Climate Crisis, joined colleagues in introducing legislation that would keep the United States in the Paris Climate Agreement and develop a plan for meeting the nation’s commitment to reduce emissions. Then Wednesday, Huffman and freshman Representative Joe Cunningham (D-South Caroline) introduced a bill that would permanently ban oil and gas leasing off the Pacific and Atlantic coasts. Meanwhile, the Coastal and Marine Economies Protection Act introduced Wednesday, which builds on the West Coast Ocean Protection Act that Huffman had previously introduced, has widespread public support, Huffman said. See the full press releases from Huffman’s office copied below. 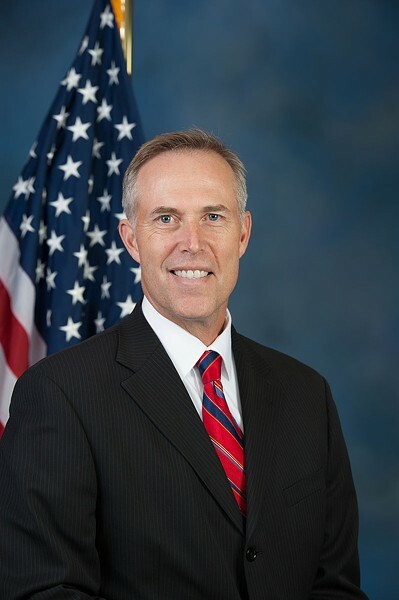 Washington, D.C.- Today, Congressman Jared Huffman (D-San Rafael) joined Select Committee on the Climate Crisis Chair Kathy Castor (FL-14) and other leading lawmakers in introducing H.R. 9, the Climate Action Now Act, to require the Trump administration to remain in the Paris climate agreement and to develop a serious plan for how the United States will meet its commitment to reduce pollution. Rep. Huffman, a leading voice on climate and environmental issues and a member of the Select Committee on the Climate Crisis, has helped to lead congressional efforts to reassert the American commitment to combating climate change. Last month, he introduced the bipartisan “Still-In Resolution,” a House Concurrent Resolution affirming Congress’ intent to remain in the Paris agreement. That legislation now has nearly seventy bipartisan cosponsors. On December 12, 2015, nearly 200 countries, including the United States, China, India and the European Union, signed the landmark Paris agreement to combat climate change. The central aim of the agreement was for the nations of the world to work together to keep the global temperature rise to well below 2 degrees Celsius (3.6 °F) and to attempt to limit the temperature increase even further to 1.5 degrees Celsius (2.7 °F). On June 1, 2017, President Trump announced his intention to withdraw the United States from the Paris Agreement – making our country the only one to reject the global pact. Despite the President’s unilateral declaration withdrawing the United States from the Paris Agreement and his refusal to take the threat of the climate crisis seriously, the earliest the United States can legally withdraw from the agreement is November 2020. The Climate Action Now Act would prohibit any federal funds from being used to take any action to advance the withdrawal of the U.S. from the landmark Paris Agreement. It also calls on the President to develop and make public a plan for how the United States will meet its national commitment to reduce carbon pollution. The bill number of “H.R. 9” is reserved foruse by the Speaker of the House, indicating the high priority placed on the legislation. Text of the Climate Action Now Act can be found here. Washington, D.C.- Congressman Jared Huffman (D-San Rafael) joined freshman Rep. Joe Cunningham (D-SC) in introducing the Coastal and Marine Economies Protection Act today, new bipartisan legislation to permanently ban oil and gas leasing off both the Pacific and Atlantic coasts that builds on Huffman’s earlier West Coast Ocean Protection Act. The bill will be the subject of a hearing next week at the Natural Resources Subcommittee on Energy and Mineral Resources. The bipartisan coastal protection legislation introduced today would prohibit any oil and gas leasing in the Interior Department’s Atlantic or Pacific planning areas. The new bill builds on Huffman’s West Coast Ocean Protection Act, which prohibits oil and gas leasing off the coast of California, Oregon, and Washington, and on Cunningham’s Coastal Economies Protection Act that similarly blocked offshore drilling in the eastern U.S. The standalone Huffman bill has attracted the support of 28 Democratic cosponsors from Pacific states. “The administration is trying to further oil and gas interests at an alarming rate, including major expansions of offshore drilling in the Pacific and Atlantic oceans. This is nothing more than a hand-out to the oil and gas industries and runs counter to health, safety, and environmental safeguards we know must be in place to protect our coastlines. These actions also run counter to the will of the citizens in these coastal communities. I am proud to join with my colleagues in making it perfectly clear to this Administration – there will be no new drilling off our coasts,” said Rep. Alan Lowenthal (D-CA), Chair of the Subcommittee on Energy and Mineral Resources. “This smart measure responds to communities and leaders all along our Atlantic and Pacific coasts who strongly oppose offshore drilling. It would protect those coastal waters and wildlife from the risks of another BP-style disaster, as well as industrial ruin and ongoing harm. This bill deserves the support of everyone who cares about healthy oceans, marine life, our coastal economies and all they support”, said Alexandra Adams, Legislative Director, Nature Program, Natural Resources Defense Council.